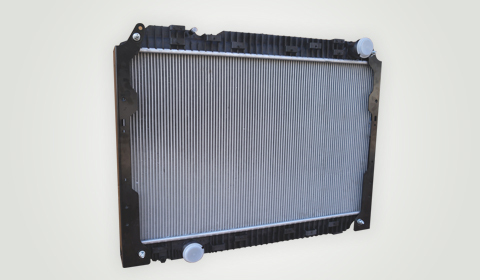 We offer complete cooling modules including Steel mounting frame, De-Aeration tank, Fan cowl, Radiator, Condenser, Transmission cooler, Diesel cooler, and Inter-cooler. Aluminium air charge coolers options with cores in Extruded tubes or Welded tubes with Inner Turbulators, along with options of un-louvered fins are available. Extra large aluminium radiators are available in several louvered / un-louvered fin and oval / B-tube options. We have the capability of brazing aluminium radiators for up to 350 HP engines (core sizes of 900 x 1200 mm) For additional product life, Banco uses in-house developed components (patent applied) along with traditional vibration isolation features.